New research from flight and travel comparison site Netflights has revealed that Frankfurt International Airport is the ‘Best For Wellness’ in the world, thanks to its facilities for wellness and feeling healthy, including relaxation areas, calming yoga rooms and massage services. To determine the ranking, Netflights looked at which airports had spa or gym facilities, dedicated meditation or quiet spaces, yoga studios or classes, relaxation zones, outdoor or green space, prayer rooms, access to massage, and running tracks. They scored each airport on the quality of each facility to give the airport an overall ‘wellness score’ out of 23 and ranked all 25 accordingly. 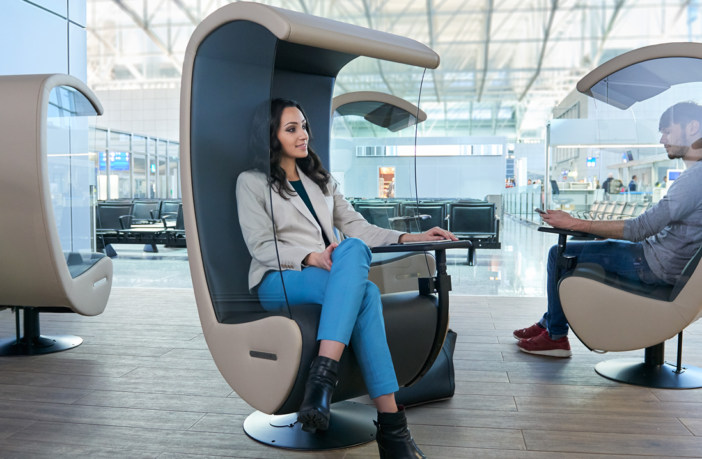 Frankfurt International Airport, which has dedicated silent chairs, a quiet room and peaceful leisure zones, and an open-air rooftop terrace where passengers can get some fresh air and sunshine before a flight, scored 21. The airport also has individual yoga and prayer rooms, and spa facilities with a range of treatments. Andrew Shelton, Netflights’ managing director, commented, “Wellness, whether in mind or body, is really of the moment, so we hope travelers find our ranking guide useful in helping them understand how they can maintain their regime even while they’re at the airport.